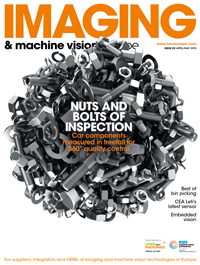 The North American machine vision market has fallen three per cent in the first nine months of 2016, according to statistics from the AIA. Sales were $1.7 billion for the nine-month period. Despite this, a notable increase of seven per cent to $574 million has been observed in the Q3 of 2016, compared to the same period in 2015. Smart cameras have proven to be the most promising technology, showing a 10 per cent increase in sales in the first nine months of 2016, and a 24 per cent increase in the third quarter. The systems category of North American machine vision sales saw a decrease of three per cent to $1.45 billion over the first nine months of 2016, while the component category experienced a two per cent decrease to $237 million. This contrasts sales in the European markets, which saw an increase of eight per cent in 2016, following a 10 per cent increase in 2015. AIA has seen the rising interest in vision and imaging reflected in the growth of its membership and networking events. In November, AIA reached a new membership milestone with 356 member companies from across the globe.